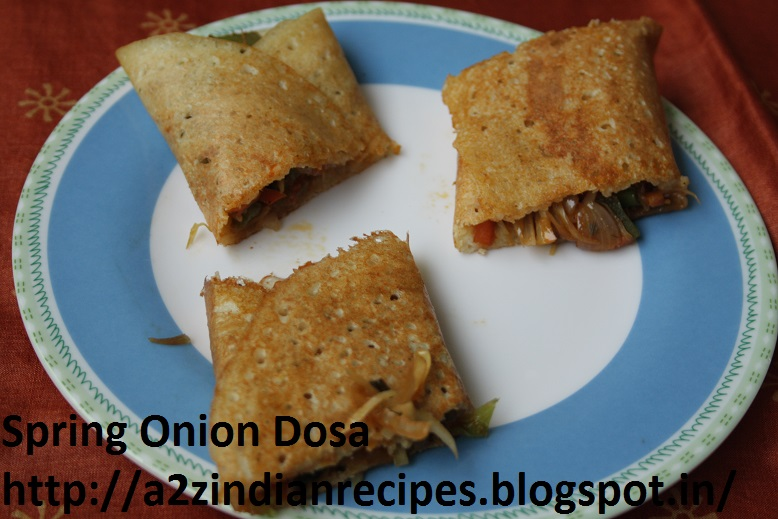 Heat the oil in a pan, add garlic, after it turns light golden brown then add onion and all vegetables. Sauté over a high flame for 4 to 5 minutes till the vegetables soften. Then add soya sauce, vinegar, pepper powder, chili sauce, sauté for 2 minutes. Switch off the flame. 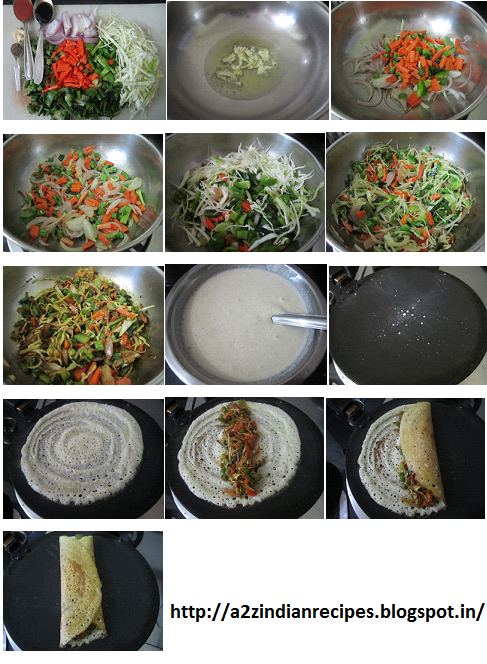 Spread vegetables mixture at the center, apply 1tsp ghee all over the dosa, then roll from both sides and serve hot.